As you learn how to play volleyball, you must practice the fundamental techniques of passing, setting, hitting, serving, and digging. To be able to play the game, it's critical to learn the various skills in volleyball. The main skills of the game are 1) pass, 2) set, and 3) hit. The better a team is at performing these skills, the more success. Obviously the goal of the game is to win. The first team to 25 points wins. In volleyball, you must win by 2 points. The score is rally scoring. This means every time a team wins a rally, they get a point. Ball lands on the court "in" bounds. Ball lands "out" of bounds. Team contacts the ball 4 times consecutively. A player is called for an illegal hit (caught, held, or thrown ball, multiple contacts). The ball doesn't cross the net within the crossing space (crossing the net between the antenna). Out of alignment or other various types of faults such as illegal back row attacks, illegal back row blocks, illegally attacking a libero set, and wrong server fault. There are many different possibilities for offensive and defensive strategies. For offense, the goal is to attack the ball in such a way that makes it difficult for the opponent to make a play. Basically, the better a team is at attacking, the more likely they will win. A critical part to attacking is the plays that must be made prior to the attack. When first learning how to play volleyball, you soon realize it's all starts with a pass. If a team can't pass the ball, then the setter can't set an attacker. This is why volleyball is often called, "the game between the server and the passer". The tougher the serve, the harder it is to pass. If it's difficult to pass, it will be difficult to run an effective offense. Transition refers to turning a defensive play into an offensive play. The defense is made up of blockers and defenders. In volleyball, there are 3 front row players and 3 back row players. 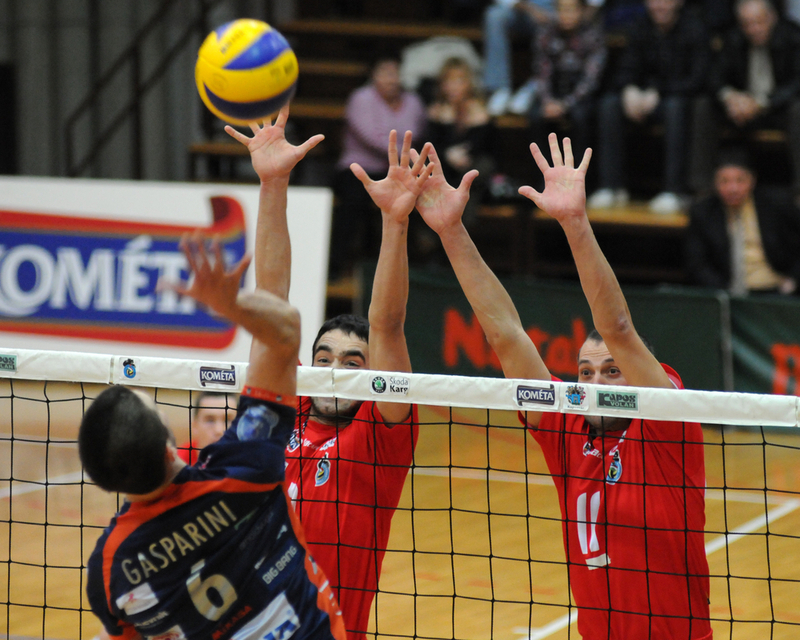 The front row players are allowed to block at the net. The back row players try to intercept hard hits (digs) and run down shots (tips, loose balls, etc). At the higher levels of play, player roles are more defined. Teams also have more advanced offensive schemes. A 5-1 system has 1 setter and 5 hitters. A 6-2 has 2 setters and 6 hitters. In a 5-1, the setter sets in every rotation (all 6 rotations) on the court. In a 6-2, the two setters play opposite one another in the line up. Each setter sets when they are on the back row. The setters set when on the back row so the team has the option of 3 players on the front row are attackers. When first learning how to play volleyball, it's important to understand the setter is like the quarterback. The setter runs the offense and leads the team. The setter is the player in charge out on the court. The outside hitter is usually the most dynamic hitter on the team. This player gets set balls to the left side of the court. This player gets the "out of system" sets. The outside hitter is usually the most dynamic hitter and needs to possess all-around skills. The Middle is the player that subs in across the front row to specialize in hitting and blocking the middle of the net. Each team has two middles. The libero is the defensive player that only plays in the back row. This player can only come in the game for back row players. This player makes "replacements" not substitutions. This player wears a different colored jersey and is required to follow different rules.